A Peak Alarm Salesperson can come to your home or business and let you know the options of either using your existing alarm, upgrading it or replacing it. Some older systems cannot send signals over a cellular if they do not communicate in specific formats, some older system are end of life meaning you can no longer buy spare parts, zone expanders or parts to fix the system. Often when you sign a 36 month agreement this will reduce the cost of the headend quite a bit allowing you to upgrade to a newer system. Sometimes if we use the same brand we won't have to replace the keypads it all depends on what you want. Newer technology offers touch screens although the regular keyed keypads can arm and disarm just fine and we can also make it so you can arm and disarm using your phone if that is what you want. With older systems often the best course of action is to upgrade the panel and replace the keypads, this allows you to have the ability to remotely arm and disarm using your smart phones. Adding sensors such as temperature sensors, flood sensors, CO detectors and smoke detectors give you 24 hour protection. Normal smoke detectors do not alert the fire department although system detectors do. Peak alarm can tie a module into your garage door opener to allow you to remotely close or open your garage door. If you wonder if you forgot to close the door you can check the status and remotely close it. Some of the older systems can have a cellular communicator added to them without changing the panel or keypads although it depends on the year the panel was manufactuered and the version of the panel. Often it is best to upgrade so your using current technology. Sometimes a cell can be added but remote arming and disarming is not possible. Certain residential wireless systems do not have the range needed for larger homes. When a system that is not the proper system for the project is used this can cause issues with the system. It is important to pick a wireless system that will have the range and work well. Power G or DMP higher end wireless systems cost a bit more and work as designed. Duct Detectors are smoke detectors that sample the air in the HVAC air handler system and if the RTU roof top units are over 2000 cfm they need to have duct detectors. When the duct detector detects smoke normally the RTU shuts down and alerts the fire alarm panel. Some Fire Marshals require global shut down so all air handlers shut down at the same time and others just require individual units to shut down and this way smoke is not transferred throughout the building. Be very careful when signing contracts many companies tell you one thing and have you sign something else. Peak Alarm normally does 36 month agreements when many other companies do 60 month agreements and often you end up paying more per month for more months all so you can get their free equipment that does not end up being free but ends up costing you much more in the long run. The saying that you get what you pay for, is very true so as you compare the pricing and the systems understand that security systems are like cars, you can buy less expensive systems but when you do that often the quality is not the same as the more expensive systems. 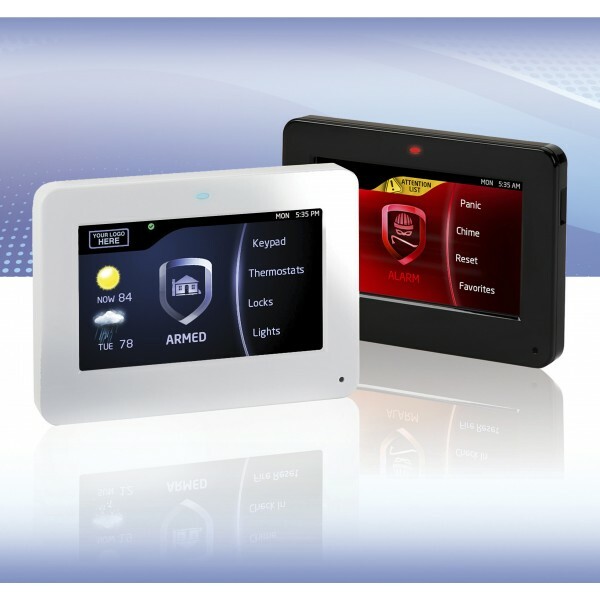 In an effort to find the least expensive security system often you will end up with a headache. Finding out the company that sold you the system has already sold the monitoring contract to someone else can be a mess when you try to get anything done because one of our competitors sells the system and installs it often on the same day and then sells the monitoring to another company and you try to call customer service later on only to be given the run around.